Shelters can be tough places for animals. Dogs, as well as cats, don’t understand why they are in the shelter, while all the noise and activity make them nervous. However, when a dog gets adopted, their whole mood and personality changes. They are so happy to have a new family; they cannot help but smile! 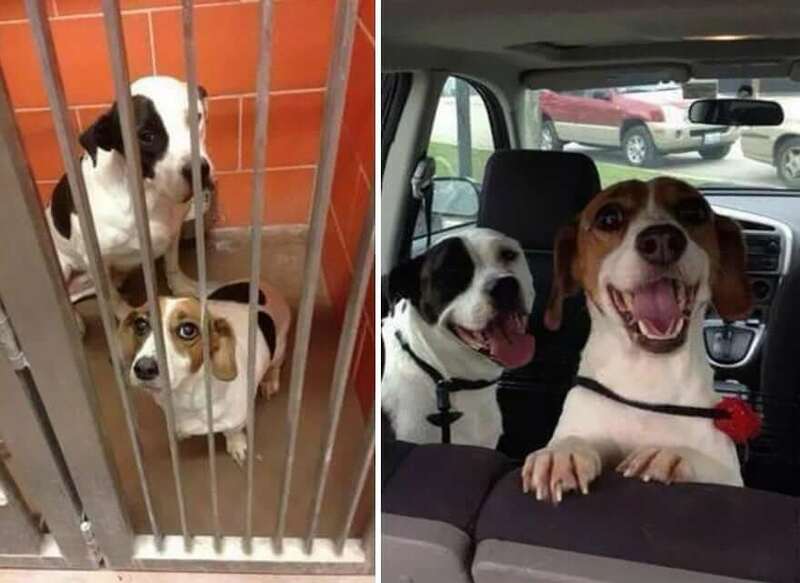 Here are some heartwarming pictures that depict how much dogs can change when they move from a small kennel to a loving, happy home. 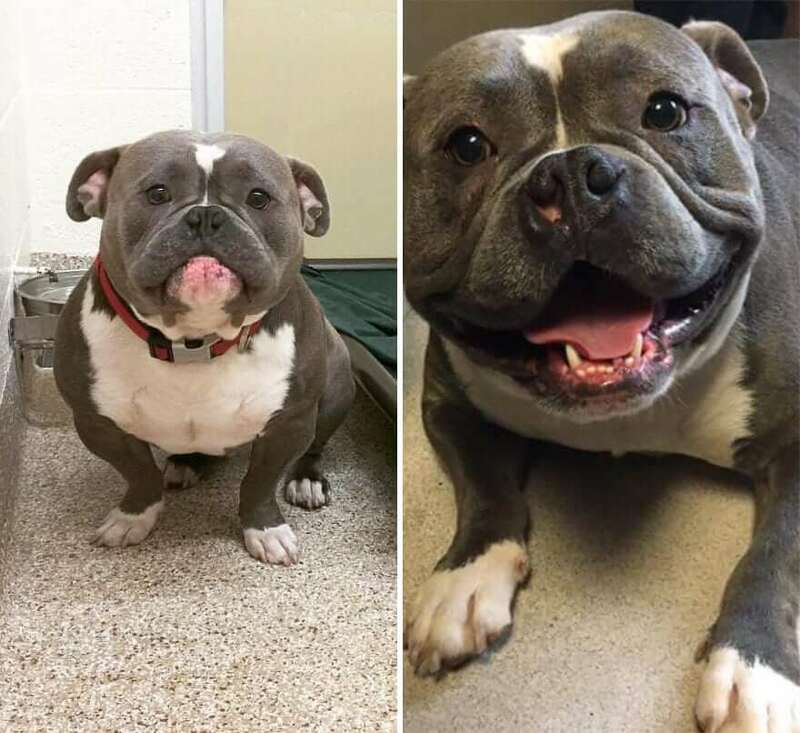 When this adorable pit bull went into the SPCA, he was all skin and bones. 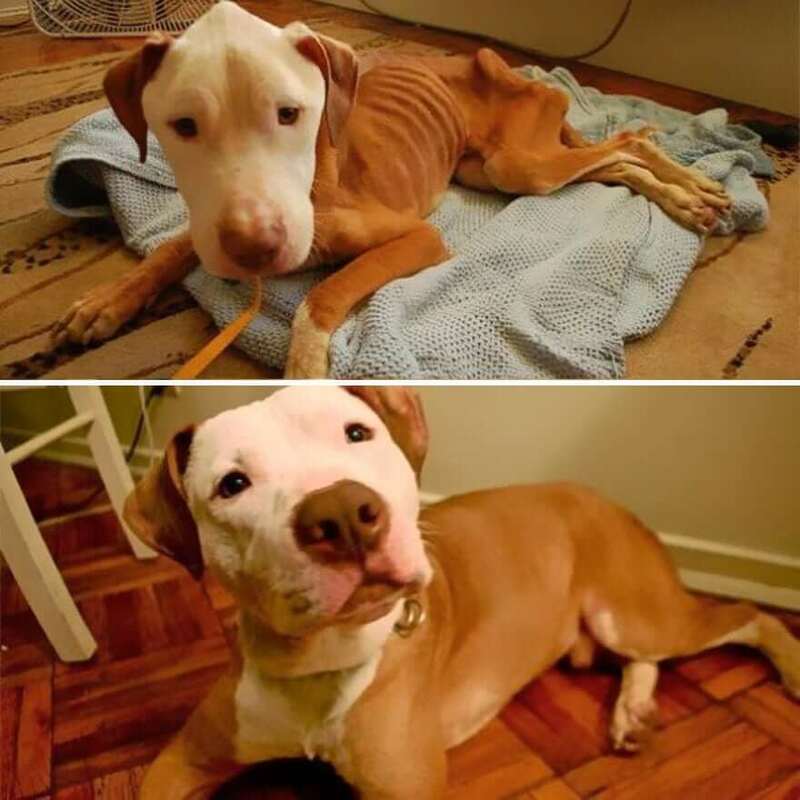 He was in such bad shape, the shelter planned to put him to sleep. However, an SPCA worker refused to give up on him. She took him in and named him Dino. A few months later, the dog was happy and healthy! Before her mom adopted her, Wynter was living on the streets. However, the sweet dog has now a huge backyard and a loving home to call her own. What a wonderful transformation! 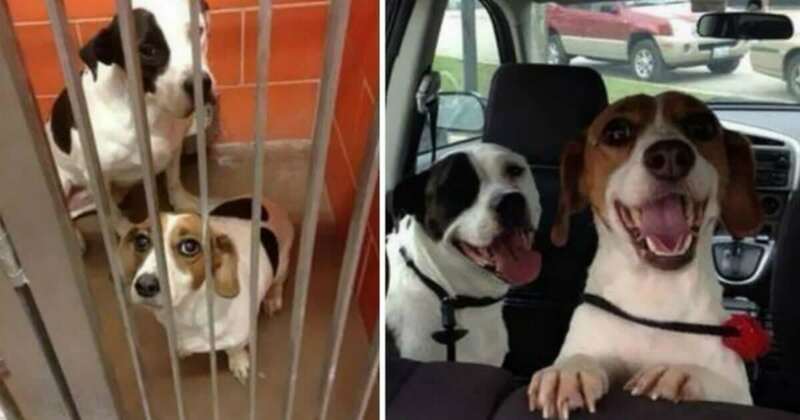 These two bonded dogs only had each other when they were in the shelter. Their owner saw the two of them huddled in a cage, and she knew she had to save them. Now, these two are together forever in a loving home! When this dog’s owner found him, she was shocked to see what a sad state the pup was in. But now, the dog has transformed into a beautiful animal who loves his owner more than anything else in the world! 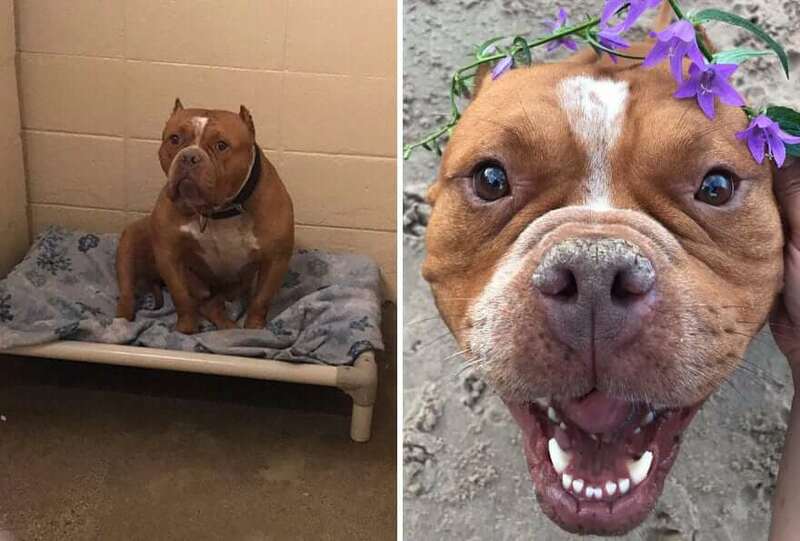 When Frank the Tank was in the shelter, he never smiled. However, now that he is in a good home, a grin never leaves his face. In the shelter, this pit bull was timid and scared. 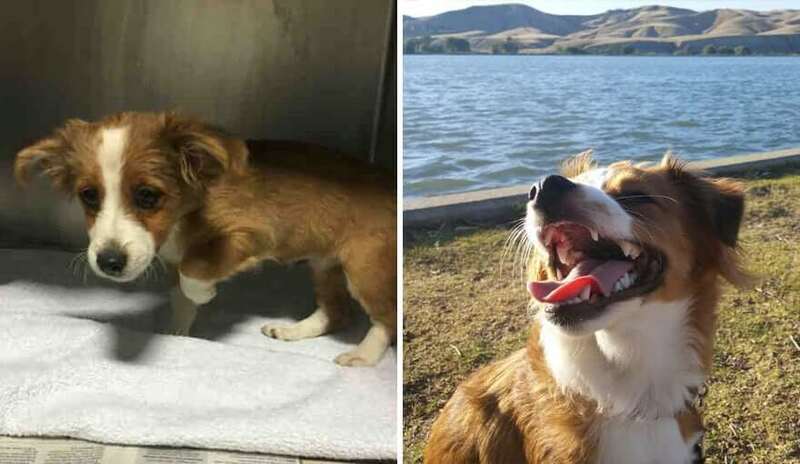 After his new mother adopted him, he transformed into the most loving, happiest dog. He is also a big fan of wearing flower crowns! When little Holland arrived in the shelter, he was covered in matted, dirty fur. 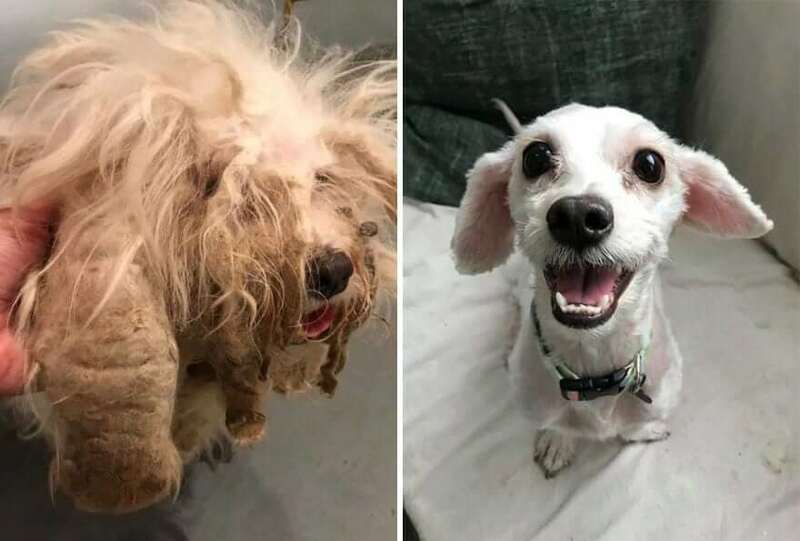 After he was shaved, he transformed into a whole new dog! Now, Holland is in a happy home, and we couldn’t be happier for him. This sweet Husky with beautiful eyes was on death’s door when she arrived at the shelter. 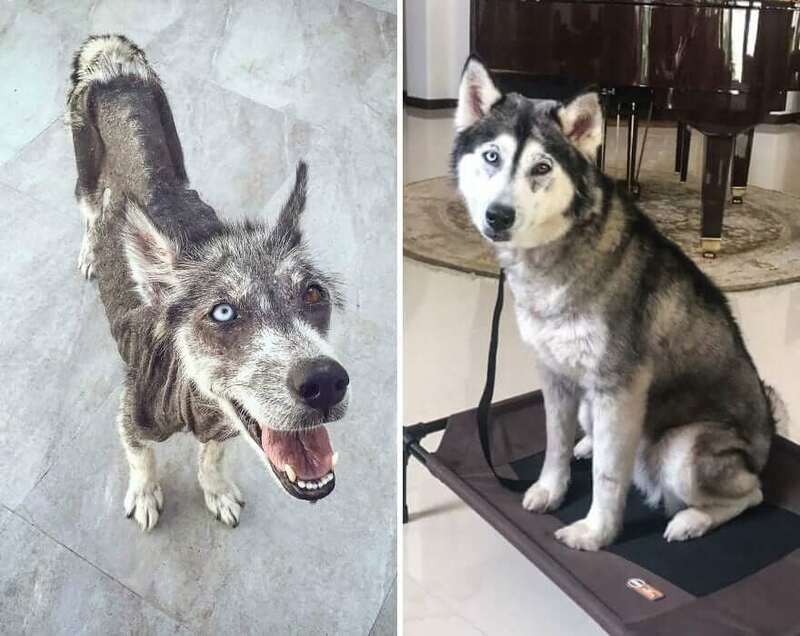 Nevertheless, her owner gave her tons of love and care, and soon, the dog had transformed into a beautiful animal with a thick coat of fur. When Koda Bear’s owner saw him in the shelter, he looked at her with big, sad eyes. As soon as Koda got home, he became the happiest dog around. Just look at that big grin on his adorable face! When this dog arrived at the shelter, she had terrible mange and was in pain. 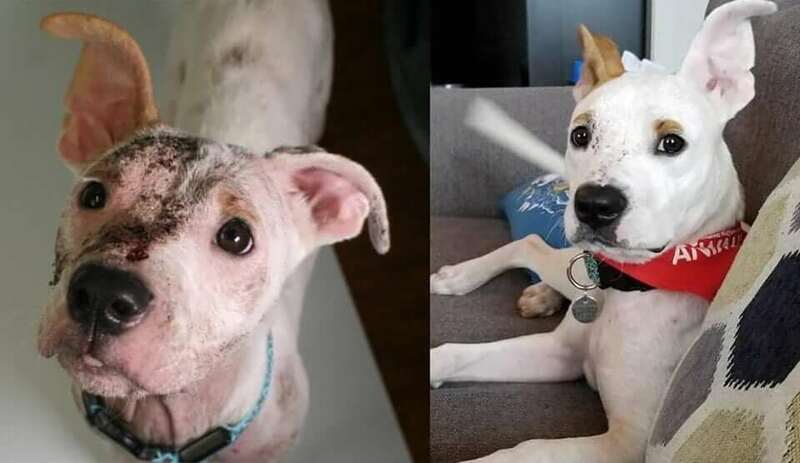 Once her mange cleared up, her owner realized she had beautiful eyebrows! This dog is apparently in a beautiful home now. 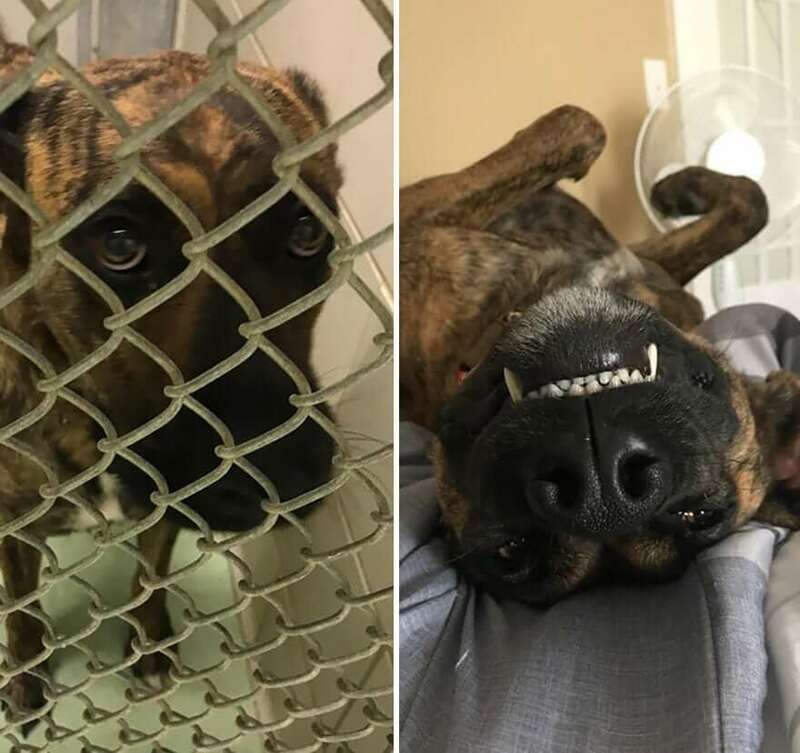 When this dog was in the shelter, she was so sad that she could barely even lift her head. Now, this pup and her owner go on tons of adventures together. Her owner loves her so much, and the dog never has to worry about being abandoned again!